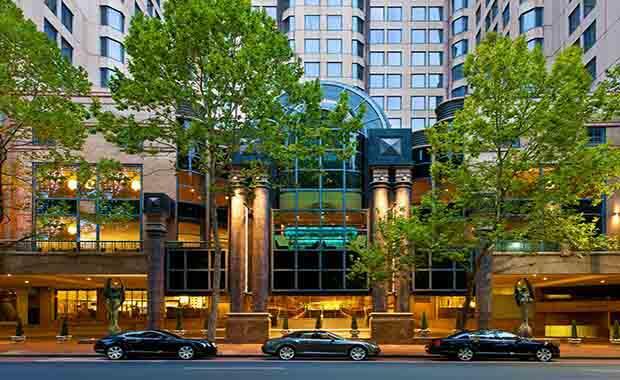 Sunshine Insurance Group, a Beijing-based insurer, has bought Sydney’s Sheraton on the Park hotel for a record $463 million in its first real estate acquisition in Australia. The building, which fronts Hyde Park, comprises 557-rooms and in an interview conducted by The Australian, JLL CEO and selling agent Craig Collins said suitors from Malaysia, China, Middle East and Singapore were attracted to the building. Mr Collins said there had also been some local interest in the five-star hotel, which was sold by US hotel giant Starwood with a long-term management agreement in place. Starwood has amassed $US1.5 billion over the past three years from the sale of its hotels, including the Sheraton on the Park. It is understood that under the terms of the sale, Starwood required the purchaser to sign a management agreement of up to 50 years. The hotel was developed in the 1990s by Andrew Richardson after he acquired sites between Elizabeth and Castlereagh Streets. The building will also undergo a $40 million renovation.